Grape Jelly Meatballs - the easiest appetizer you'll ever make! 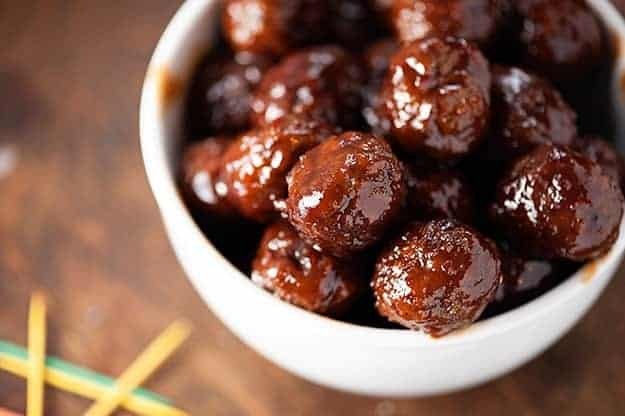 These grape jelly meatballs are tossed in the slow cooker for a few hours and then make a perfect snack or appetizer for game day! Meatballs with grape jelly and chili sauce might sound a little crazy, but the sauce transforms into something amazing while it cooks! I’m getting a bit of a complex here, guys. Every time I go shopping with my daughter she ends up shouting that I can’t possibly be a girl because I don’t like sparkles and glitter and bling and neon colored pictures of cats wearing sunglasses adorning my clothes. Which, let’s be real for a minute, if that’s the measuring stick of girl vs. boy, I’m fine being a boy. Cats on clothes will never be my thing. Ever. But, every time she loudly proclaims, “You’re not even a REAL girl, Mom!” I get a little uncomfortable and wonder what the other shoppers think. I promise, guys. I am a lady. 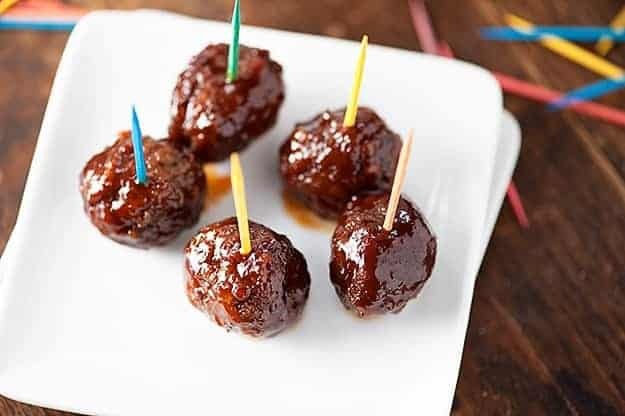 Grape Jelly Meatballs are the perfect appetizer or snack for your next party! Anyway, this really has very little do with meatballs other than the fact that I feel like meatballs are a manly food. You don’t see a lot of dainty little girls grubbin’ on a meatball sandwich, with melty cheese all up in their hair, and marinara sauce down the front of their shirt. I can’t help it though. Maybe my daughter is right. Not only do I freakin’ love a good meatball recipe, I am thoroughly obsessed with meatloaf. 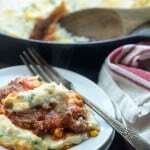 My cheeseburger meatloaf is one of the most made recipes in my repertoire. Bacon, cheese, beef. Yep. Manly. So, this year I was thinking about New Year’s Eve and football food and I knew that we needed some crockpot meatballs to go alongside the pizza rolls. With grape jelly and chili sauce. You might think meatballs with grape jelly sounds weird, and your’e not wrong, but if you’ve never tried these I implore you to give them a shot. The jelly and chili sauce do something magical when slow cooked with the beef and the resulting sauce is a perfectly sweetened barbecue sauce with just the right kick. I use this Heinz chili sauce (affiliate link) and you can usually find it near the ketchup and other condiments. Meatballs with grape jelly are sweet saucy perfection! I can eat my weight in grape jelly meatballs and I don’t want to tell you how much I weigh, so I’ll just say that’s a lotta dang meatballs. 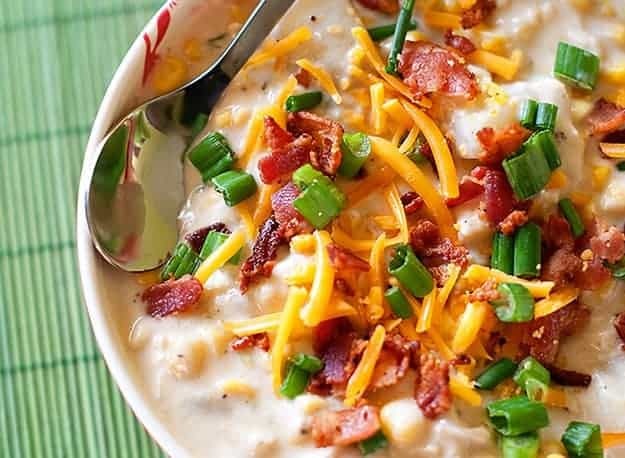 Best of all, these are made in the slow cooker, which means they’re super simple to throw together and you basically dump things in and then walk away. 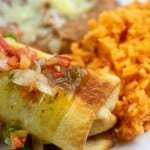 I use my Ninja slow cooker for this recipe. I have quite a few slow coookers, but the Ninja is my favorite – nothing sticks to it, it cooks evenly, and I love the timer on it. It has tons of 5 star Amazon reviews too. You can buy one here. <– This is an affiliate link which means that if you purchase through this link, I’ll earn a few pennies at no extra cost to you. Thank you for helping to support this blog! I know meatballs with jelly sounds a little out there, but I hope you give this a try! So good! 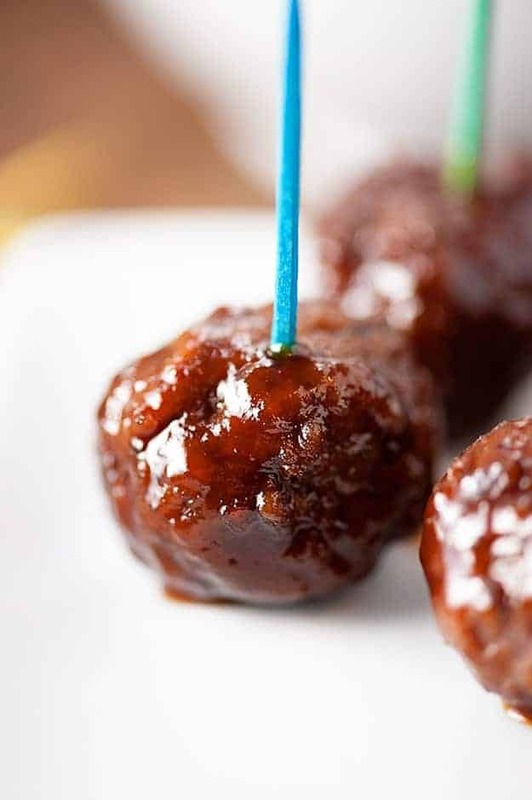 These grape jelly meatballs are a staple at parties in my house! They're so easy to toss together and everyone loves them. Add the chili sauce and grape jelly to a slow cooker. Stir to combine. Cover and cook on low for 4 hours. Serve as an appetizer or over rice as a main dish. 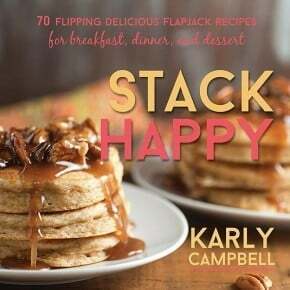 More savory recipes? No problem. 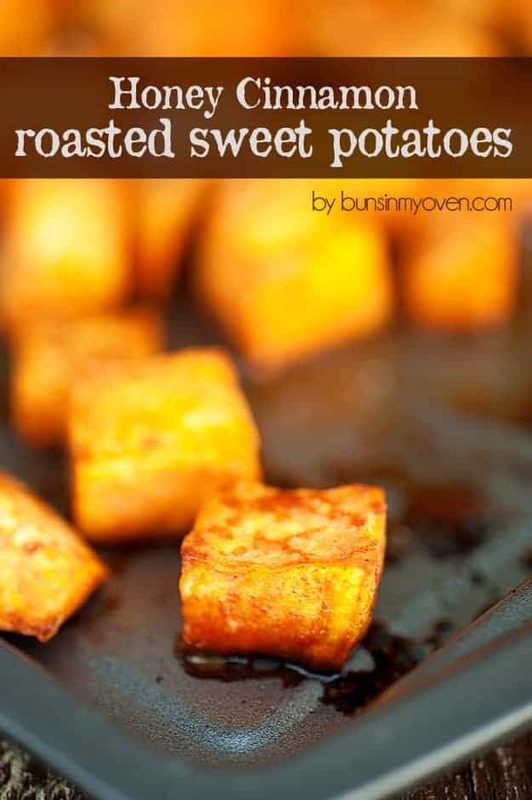 Check out my Honey Cinnamon Roasted Sweet Potatoes! 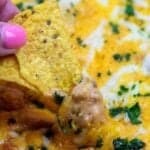 My Hot Ham and Cheese Dip is perfect for football games! 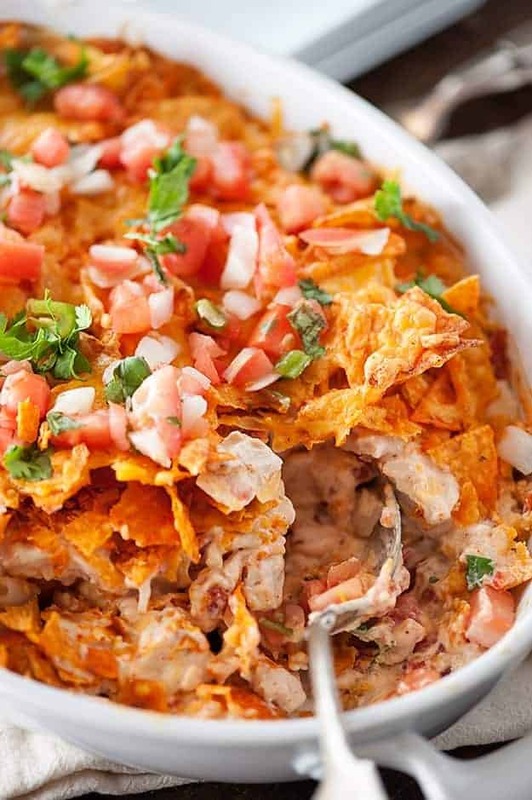 This Dorito Chicken Casserole is a crowd pleaser. Everyone loves my corn and chicken chowder! I love these meatballs! We serve appetizers for dinner on Christmas Eve and these have made the cut this year. 3 Year’s later & they’re a must have for our Christmas party every year!! I pulled up the recipe for the ingredients and saw my comment from 2014. Thanks again! 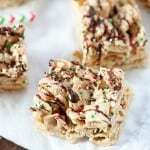 I’ve made these for years, and I remember when I got the recipe, I thought the lady was joking when she gave me the ingredients, but they are amazing and so simple! Hi there, your recipe calls for grape ‘jelly’. I am in Australia. Would your jelly be what we call jam? Many thanks ? Yep, grape jam would work just as well! I absolutely love these! We don’t make them often so when I do get to eat them, they are extra special. I just wanted to say I like your format change, and these meatballs are the bomb! Thanks! ???? I have had these before. It is AMAZING how good they are and how popular. My wife uses Heinz Chilly sauce really adds a great tang to the meatballs ! Same here! Love that stuff! 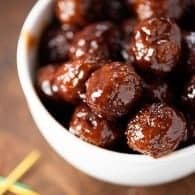 Grape Jelly Meatballs bring me back to my childhood holidays and the super yummy appetizer section that I basically filled my entire plate with at family gatherings. Love these! YUM!! Yes! The appetizers are the best, right? Just a quick clarification! Which brand of chili sauce and which brand of frozen meatballs did you use? 🙂 I want to get it as close to the original as possible. I use Heinz chili sauce and Casa meatballs. 🙂 Hope you love these! Thanks for letting me know! I’ll be on the lookout for these when I’m at the grocery store! What if I can’t find Heinz chili sauce What is the closest and in what aisle. International ? Chili sauce is located near the ketchup, usually up on the top shelf near the cocktail sauce. you are absolutely hilarious I laughed SO hard! This is so true with me too! I do not get the cat obsession… 🙂 These look quick and delicious!! 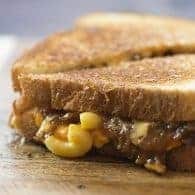 This recipe has been around long enough to be a classic! If you like these, you’ll love this variation. Slightly less sweet but as easy. Melt a jar of apple jelly, then stir in the small bottle of Heinz hot ketchup. Can you use a sugar-free or reduced sugar jelly and get the same results? I would think so! Taste will be a little different, of course, but the sauce should behave just the same. Why didn’t my sauce thicken? It was runny. It just basically turns into a sticky barbecue sauce. It doesn’t get real thick. What kind of meatballs? Sweedish? beef? I just use regular frozen beef meatballs. My son-in-law makes these for all special occasions. I don’t know what spices to use. Can someone tell me what to use. I think some chili powder and cayenne (pinch). You can find it near the ketchup at the grocery store usually. I buy the Heinz brand. It’s basically just a tangy sauce made from tomatoes and chili peppers. I made these for an appetizer for Thanksgiving as I was looking for something to use in a crock-pot that would hold up to a 30 minute drive. These were perfect!! They were the first appetizer to run out! Delicious and definitely plan on making again! I found ‘party size’ frozen meatballs at Trader Joes and they worked great. Next time I will double the recipe as they go fast…figure about 5 a person! Thanks for the delicious idea!! 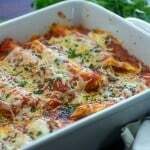 I have been making these for years, serve them over egg noodles as a main course. I make the meatballs from scratch with onions, garlic and parsley in them. Really good and rarely any leftovers. Oh, love the idea of serving them as a main dish! Do you bake the meatballs that you made homemade before putting them in the crockpot? 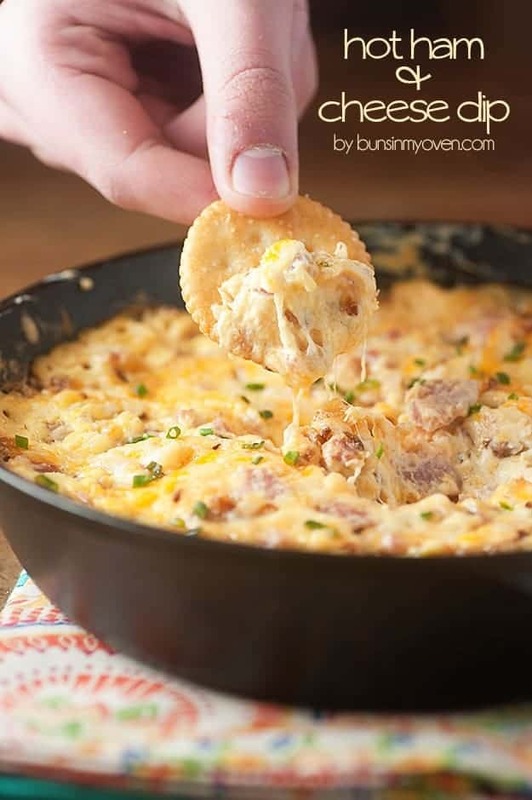 So, these sound great, but…how many appetizer servings would you say this recipe makes. I’m thinking maybe 5 per person?? Honestly, I don’t know. It never matters how many people I’m serving – they’re always gone at the end of the night. 5 per person is probably a safe bet though! I have made these for YEARS and they are great, but honestly why not take the extra time (not much really) and make your own meatballs. I would NEVER use frozen!!! I make mine with hamburger, onion, worcestershire sauce, an egg or two and salt, pepper and bread crumbs. MUCH MUCH better!! I bet they are even better with homemade meatballs! If you like these..try using a beef pot roast, with the chili sauce, grape jelly and 1 can of ginger ale..cover with foil and slow bake in a 250 oven for 3-4 hours. (or crock pot) drain liquid and stir up with a fork..shredding it. Serve on bun’s for a pulled beef. 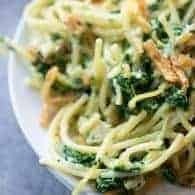 These recipes have been around for years and I love and made them both. I’m going to try that! Thanks! I’ve been making something like this for years. I make the meatballs from scratch with garlic, onion & parsley. I mold them around a piece of water chestnut and bake them. I make the sauce as described with the addition of a little lemon juice. The meatballs get plopped in the sauce after they’re baked. They can be transported & served from a slow cooker. You can also use a chafing dish for fancier serving. I wasn’t able to find the Heinz brand chili sauce. Can I use a generic chili sauce? Yes, any brand is fine. Made these today. Used Kroger brand chili sauce and grape jelly, along with Armour meatballs. Would not recommend, they didn’t taste as good as ones my friends have made in the past. Maybe it’s because of the cheapness of the generic store brand ingredients. I use Kroger’s store brand all the time for this recipe, it’s the Armour meatballs. The frozen meatballs are nasty and contain all sorts of fillers and soy protein. I make double batches of homemade meatballs and freeze them after baking them, use a cookie scoop so they are all the same size and cook evenly plus speeds up the production time. I HATE frozen meatballs. They taste disgusting! I was wondering if this sauce would also be good with the little wieners…. Yes, this sauce is great for little wieners. I agree. Armour is what I used too and was not impressed. Using another brand next time. I’ve always used this sauce with cut-up hot dogs. Really good appetizer — and easy! Making these this weekend for a huge birthday party,45 people..,curious if you think I would need more time if I doubled the recipe? Thank you for the quick response!I’m sure they will be a hit! Do you out the meatballs in the crock pot frozen o do you thaw them first? Haha! This is exactly the question I was looking for an answer to! Thank you!! I am wondering if anyone has used other flavors of jelly… like apricot, raspberry, pineapple etc. ? 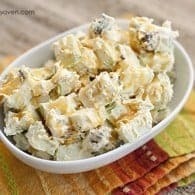 this is just wonderful and so easy, I used it for the holidays last year & ended up making several batches. Thanks for any help & advise anyone can share. Red currant jelly is what I use! Thanks for the help…. I now have pineapple, Apricot & Raspberry on my TO DO list now…. 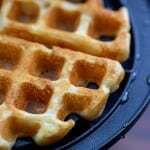 I love this recipe –so easy ! I have used elderberry jelly, and also wild plum jelly. Both were a big hit, but most people preferred the elderberry. I realize elderberry is hard to come by. oops! I picked up cocktail sauce. Has anyone used this instead of chili sauce? This sounds so yummie !! But, I think I would prefer making homemade meatballs instead of using frozen. However, I’m curious… Do you think it will be just as good if I put the meatballs in the slow cooker, raw? Or would it be better to brown them first either by oven or frying? Just curious. ? I’m not sure as I’ve never tried homemade meatballs in the slow cooker before. I cook meatballs on a high heat for a short amount of time, so maybe that’s the trick? I don’t ever have an issue with meatloaf falling apart though. Maybe you need more or less binder? Hard to say. Def brown your meatballs before you put them in the slow cooker! Browness is yummyness! Do you think it is possible to freeze these meatballs? I have been creating make a head meals lately and am wondering how they would hold up. 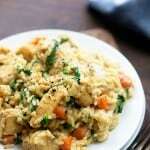 I totally love the idea of adding to rice for a main dish! Thank you! Hmm, I’m not sure. I’d be a little worried about taking an already frozen product, heating it, and then refreezing it. Oh Karly, you are so right! LOL my brain was in make from scratch mode. (Make and form my own meatballs, bake for about 15 minutes just so they don’t fall apart and then put in the crock pot with the other ingredients.) I am always on the lookout for new delicious freezer meals that I could just reheat later and I do think your recipe has inspired me! Thank you! I have been making these meatballs since 1975. I also made a Swedish meatball recepie with beef gravy in them. By accident both crockpots got dumped in together and they made them my Families Favorite. Try adding 2 cans of beef gravy . Enjoy! At the holiday time buy the ingredience ahead because in this small town the shelf empties quick. My grandsons said not go give the secreat part of the recipie away. Ooh, interesting! I might try that! Hi! These sounds amazing but i do not eat spicy. Can i substitute something else that isn’t spicy? There is nothing spicy in this recipe. Hi ! I’m confused – the chili sauce isn’t Spicy ? I made these with my jalapeño jelly instead of the grape. Not that I have anything against grape jelly but I have a lot of jalapeño I made this year. They are fantastic. But with a bit of a bite. Ooh, I bet that was amazing! This might be a silly question but grape jelly, like jam? If I only have Italian meatballs on hand would the flavor of those work with the sauce? I’ve read on another website not to use Italian meatballs because it will change the taste. Each to their own, I guess. I have been making these meatballs for over fourth years. I accidentally mixed these meatballs and Swedish Meatballs. The result, people can’t stop eating them. Just add 2 cans of beef gravy. You still have the sweet taste of the grape jelly, but the beef gravy just makes it special! I hope you try them. just saw these on top ten list and love meatballs, so had to comment and thank you for this recipe, and no never imagined grape jelly so that’s a new one for me well worth trying! I use Heinz Chili Sauce. I also add 1/2 a can of Dole crushed pineapple. Delicious. May be a silly question, but is your crockpot round or oval? Mine is oval (pretty big) and I’m trying to decide if I need to double the recipe or not. Serving a large crowd at a Super Bowl party this weekend! Hi Brooke! Sorry I’m too late to answer your question. I had a busy weekend cooking too. 🙂 I do this recipe in the larger 5+ quart slow cookers. Hope you enjoyed! Made this for years. Also, if I don’t have chili sauce I’ve used barbecue sauce and grape jelly. Also, frozen chicken wings are great with this recipe as well. Karr of grape jelly and small bottle of barbecue sauce your favorite. I bet it’s great on chicken wings! Hello! Wandering if these would be good as a main dish for dinner also? Like with Egg Noodles maybe? Thank you! I’ve made these back right when I got out of high school and haven’t made them since! Haha. Excited to make them again!? Does anyone know how I can do this in the oven? My boyfriend’s place doesn’t have a slow cooker but I want these for supper. I’m not sure this one would very well in an oven.